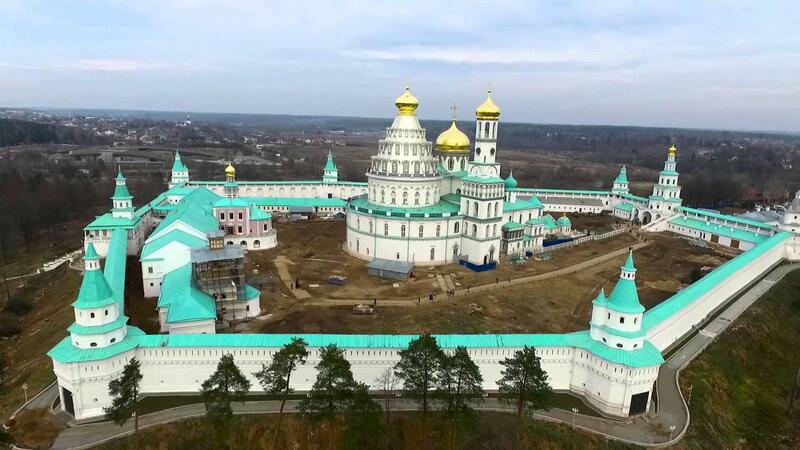 The breathtakingly beautiful, architecturally unique and historically significant New Jerusalem monastery has occupied a place of unique veneration among Russians during its 350-year history. A few years before the Revolution, it was visited by about 35,000 people annually. It was originally founded in 1656 by Patriarch Nikon, who built it to imitate structurally and thematically the Church of Christ’s Tomb in Jerusalem. This was done so that Russians who could not make the long pilgrimage to Jerusalem could get a taste of the Holiest shrine of the Christian world. 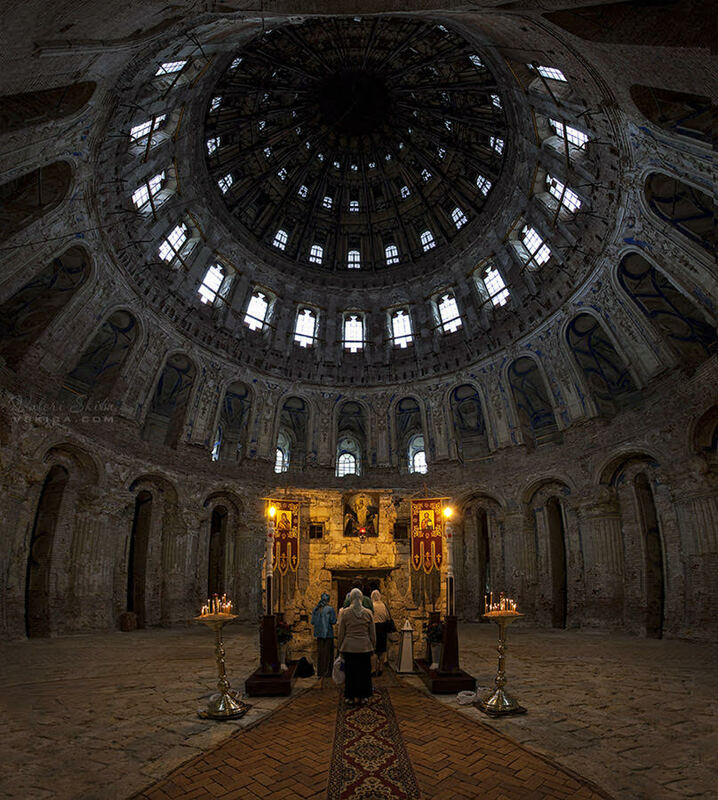 It was demolished by the German military during WWII. 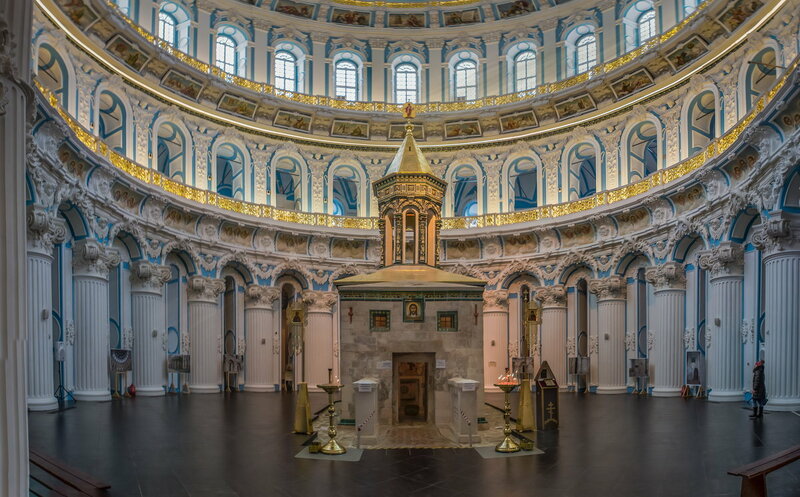 The restoration, overlooked in recent years by Russian Prime Minister Dmitry Medvedev, has taken decades, was finally completed in 2017 and now a jewel of the Russian Orthodox Church once again shines in all its glory. Initially, the cathedral had 14 precincts. In the 18th-19th centuries wealthy pilgrims and members of the Tsar's family added 15 more. Many of the details of the interior design were also done by well-known masters from Belarussia: Stepan Polubes and Ignatiy Maksimov. The central vaults are supported by four massive columns, decorated with baroque figures and frescos. The cave of the discovery of the Holy Cross. Here, there is a well, from which pilgrims can drink holy water. This monastery became one of the most popular pilgrim destinations in the 19th century to the beginning of the 20th century. By 1913, 35,000 believers visited per year. The rock of Holy Anointing is a copy of the marble slab that lies on the place of Christ's burial.